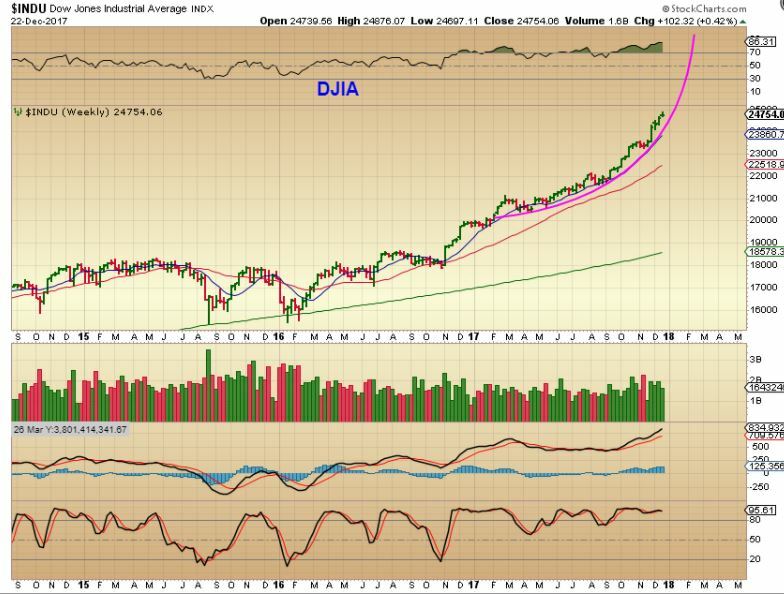 DJIA - We have discussed the parabolic nature of the general markets climb, and you can see that this continues. Riding UDOW or UPRO with a trailing stop would now have kept you in the trade for a long time. Dips are quite shallow on a weekly basis. Well, this is the last trading day of the week, before another long holiday weekend. We will be entering 2018 next week (Can you believe that?)! It might be a good time to decide what you want to hold over the long weekend, or maybe what you currently are invested in is just fine. Let's take a look at our Final Trading day of 2017. I have decided to release the Premium Dec 28th Premium Report & a bonus Bitcoin report at the end, to the public. Enjoy! This is the regular market report, with an extended section on Bitcoin / Cryptocurrency at the end. The Bitcoin section will be released to the public later today too. For now, let''s review some of the areas of interest in Wednesdays markets. SPX - No change in expectations from yesterday. This is the regular report, with an extended section on Bitcoin / Cryptocurrency. That Bitcoin section will be released to the public later today too. For now, let''s review some of the areas of interest in Wednesdays markets. 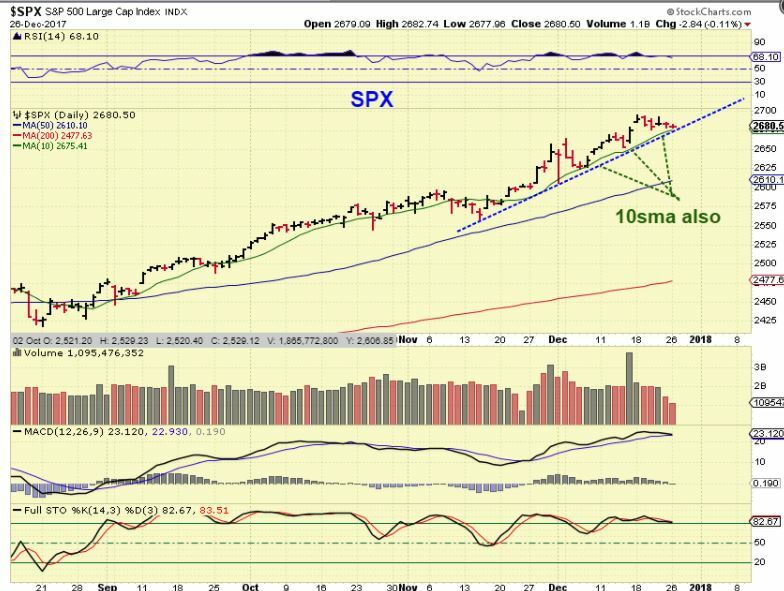 SPX - We saw the markets continue to pull back a bit as the trading week started, but nothing has been technically damaged. 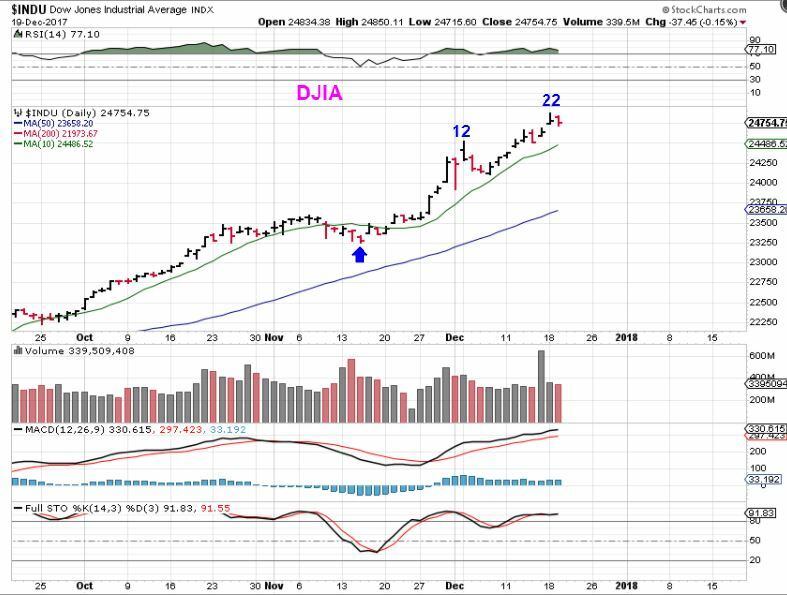 DJIA WEEKLY - Another week rolls by and our 'Bullish ramp higher' remains in tact. Yesterdays report was filled with trade ideas, but now we find ourselves on Friday. Not only is it Friday, but today is the final trading day before we enter into a 3 day holiday weekend, so this is just going to be a bit of a shorter post that you can add to all of the information found in the previous reports. 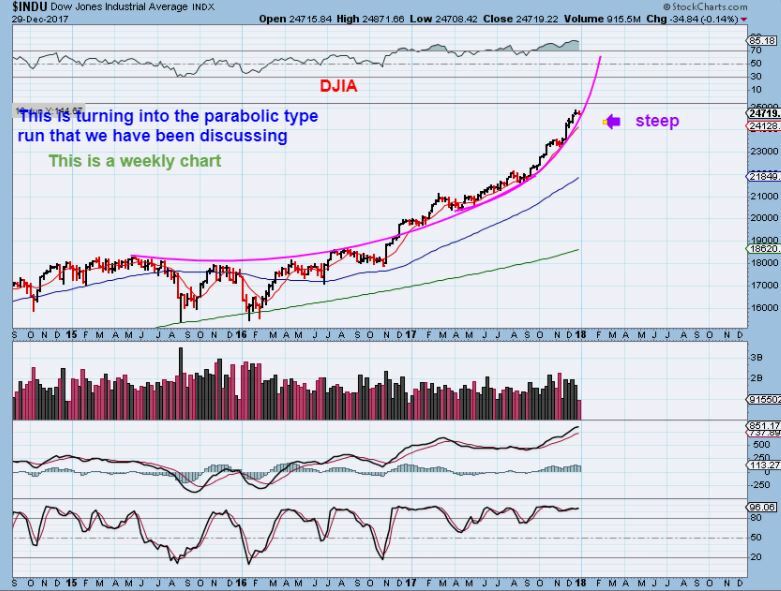 Everything is still moving as expected from the weekend report, but we can review a few areas and look at a few trade ideas on this Tuesday Morning.